Thank you for visiting! The principal purpose of this web site is to create a gathering place for information and communication about the 4000 Building at Williams Island. Perhaps one day, our residents will have a place where their Officers, Board Members, and Building Managment can keep us up to date and provide access to information about our building and it's operation. 4000 - The Blog: From My View . . .
Just One Touch Away on Your Smartphone . . . If you would like to have one-tap access to the valet, front desk, condo office, or the Concierge, I have made a smartphone app to do just that. Currently, it is only available for Android (Google) based phones; an app for the iPhone will follow soon, and for the Blackberry hopefully sooner than later. 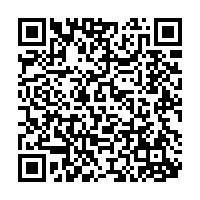 Scan the bar code from the computer screen with your phone to upload and install the app to your phone. Blog: From My View . . 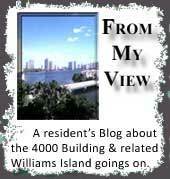 This is my blog where I express myself about what's going on in our building and the Wiliams Island community. 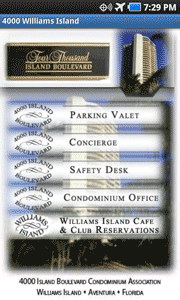 Use Your Smartphone With one touch dial the Valet, Front Desk, Office or Concierge from your smartphone.